TopSpec Electrolytes are supplied in 3kg tubs which will last a 500kg horse for 20-60 days and economic 9kg and 20kg tubs which save 25% or 40% respectively. An antioxidant formula for relaxed muscles, Recover is ideal after strenuous exercise and competition to support the horse’s natural recovery process. Fed as a five day course, it helps ensure mobility and athletic potential is maintained. Feed as a five day course following intense exercise to support the bodies natural recovery and to ensure mobility and athletic potential is maintained. Methyl sulphonyl methane, Magnesium chloride, Turmeric, Rosehip, Ginger, Ginkgo, Licorice, Omicha, Oregano. For ultimate muscle power, strength and stamina. M Power is a leading edge nutritional formula to support the natural, healthy development of muscle. M Power has become a popular choice amongst European competition riders who have seen and experienced the benefits of the product. A unique natural formula, M Power is rich in amino acids – which, as the building blocks of protein, are vitally important for healthy muscle tissue growth – and naturally sourced anti oxidants which work together with select herbal ingredients to ensure, smooth, healthy muscle function. These primary ingredients are supported by the necessary vitamins and trace elements needed for performance, plus targeted nutrients, including live yeasts, to optimise the digestive process, enabling efficient utilisation of the key muscle building ingredients. Brewers' yeast, Schisandra berries, Turmeric, Potato protein, Orange peel (ripe), White mineral oil, Rosehip shells, Dandelion leaves, Milk thistle seeds, Rosemary, Gingko leaves, Bilberries, Ginger, Dicalcium phosphate, Liquorice, Fructo-oligosaccharides, Magnesium oxide, Sodium chloride, Wheat protein. A super cooling gel which cools and freshens your horse's legs after hard work or strenuous exercise. Contains cooling agents designed to reduce body and muscle temperature. Apply liberally to the full length of the legs and tired muscles after heavy exercise or work on hard ground. Does not contain menthol or peppermint. 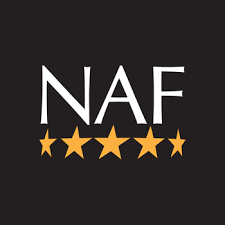 NAF Ice Cool	* Ice Cool Clay 3kg (+£19.99)	 Ice Cool Clay 6kg (+£34.99)	 Ice Cool Gel 1ltr (+£11.99)	 Ice Cool Gel 2.5ltr (+£26.99)	 Please select type and size. Goes on effortlessly and washes off easily with shampoo and water. Used by some of the best riders in the world, NAF Event Grease is a must-have for the serious competitor. A combination of highly water repellent oils and waxes with Lanolin and Glycerine. Contains: Benzyl Alcohol. Apply NAF Event Grease by hand to legs and chest before going cross country. Re-apply as necessary. Wash hands after use. As with all new products, NAF recommend a small 24hr patch test prior to initial use. When horses work hard, or during hot weather, they regulate their body temperature by sweating. Sweating not only loses fluid as it evaporates, but also essential body salts, particularly sodium, potassium, calcium and magnesium. Failure to replace these body salts (known as electrolytes) can result in fatigue, and in extreme cases, damage to muscle, bone and cartilage tissue. Electro Salts is a concentrated combination of the essential plasma salts in combination with dextrose to aid efficient absorption of the salts. Electro Salts should be fed following exertion, after heavy sweating or during periods of very hot weather. Electro Salts can be given easily in the feed, or dissolved in water. Always ensure a supply of clean fresh water is readily available. 1 scoop (10g) per 5lt water. Ideally give with lukewarm water to encourage drinking. May also be given in feed. Water should be made available at all times. 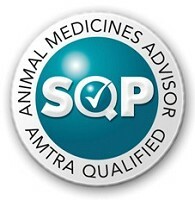 NAF recommend your horse has free access to a NAF Himalayan Salt Lick to meet daily salt requirements. Sodium chloride, Potassium chloride, Magnesium carbonate, Calcium lactate, Dextrose,White mineral oil. NAF Electro Salts	* 150g Traveller (+£5.59)	 1kg (+£15.50)	 4kg (+£47.50)	 10kg (+£99.00)	 Please choose size.